Summer has come and gone. September greets us in Chicago with the wettest Labor Day weekend in memory. It rained Saturday, Sunday and it stormed on Labor Day. I have had a view of the lake for the last 2-3 years and it looked as if a monsoon had passed. It was quite a spectacle. Summer has been very interesting from a cinematic point of view. I finally found time to watch Asif Kapadia’s moving 2011 documentary on Amy Winehouse. This was a film that was on my radar for a long time after the very emotional experience I had watching Senna, his previous documentary feature. The majority of my time though was put into catching up with a string of wonderful films released this year, a highlight of which was You Were Never Really Here by Lynne Ramsay. I rewatched Raiders of the Lost Ark as if I had never seen it before. After all, it had been a good 20 years, if not longer. As I approached the idea, I was trepidatious. Raiders was a favorite growing up and I didn’t want to tarnish the memory somehow. The idea, however, would not go away. For days I poured over dozens of reviews and, apart from a rare exception, Raiders enjoyed the kind of all-encompassing adoration that few other classics have managed to attain. It seemed to me like an exaggeration, like the reviews, many of which were written within the last 10-15 years, looked at Raiders with nostalgia for a simpler time in Hollywood. After all, it was the beginning of the 1980s, a period in which mainstream cinema took a turn, giving way to the summer blockbuster and to all-encompassing silliness. Perhaps, I thought, Raiders of the Lost Ark had ceased to become “just” a film, in order to transform into a cultural touchstone for people who came of age around the early 1980s. An entertaining Mexican dramedy that follows a housewife who must keep her life together while searching for her missing husband. Most of the film’s pleasures lie not on the story, which is derivative and predictable, but on the detours that actress Cecilia Suarez must take as Elvira to uncover the truth about her husband and rediscover herself. I also realized midway through the film that it relies on the kind of silly hispanic humor that may not fully translate to non-Latin audiences. Rarely has a film about the fragility of love and marriage has been so satisfyingly uncomfortable to watch. At first, Force Majoure is about a woman’s struggle to reaffirm her worth in a lopsided and selfish relationship, only to later become a story about a man’s newfound respect for his loved ones. It was not only surprising to see the film change its angle after an hour, but it was also disappointing. I much preferred the first hour, which included a fantastic sequence of an avalanche that threatens the life of our characters. Filmed in the snowy heights of Scandinavia, Force Majoure is also a beautiful film to look at, both for the gorgeous vistas, but also for its architecture. The much-anticipated sequel to the sci-fi classic is an achievement in that it manages to build onto and expand the universe of the original, without feeling like an overly respectful repetition. Like its predecessor, it moves forward meditatively, enveloping us in its futuristic world, set some 30 years after the events of the original. Once again, the film is an exploration about what it means to be human, suggesting that it resides not on intelligence but on our capacity to show empathy. Crucial to the success of the film are director Denis Villeneuve and storied cinematographer Richard Deakins. The two create one of the most stunningly beautiful films ever made in what could finally prove to be Deakins’ turn for Oscar gold. Unsurprisingly, Ryan Gosling also nails his starring role as the brooding and introspective detective whose job to discontinue old Replicant models poses a moral quandary from early on. As the trailers showed, Blade Runner also reintroduces Harrison Ford some 30 years later, whose role here remains key to the Blade Runner saga even if he only shows up in the latter stages. What is even better than his return to a much remembered character is that Ford gives one of his most nuanced performances to date. A cute family-friendly comedy with the kind of traditional 3-act story of an old lady who, in the space of 90 minutes of film reel, and no more than a few weeks’ worth of real time, undergoes a profound philosophical transformation as her life approaches an end. As predictable and unoriginal as the story may be, there are pleasures to be found within the film, mostly delivered by the great Shirley McClain in a role that gives her plenty to do even if it means that the characters around her are flat and one-dimensional. A lengthy and surprisingly nuanced examination of the life and work of one of cinema’s most influential and talented directors who, in the course of 4 decades, has also managed to shape pop culture and break every kind of box office record. With unprecedented access to Spielberg himself, some of his famous and not-so-famous friends, family and colleagues, the film offers a once-in-a-lifetime perspective into the mind of a great artist. As a cinephile I found it endlessly fascinating and informative. The film manages to capture some of the motivations and behind-the-scenes work of a master of the medium. In accompanying his oeuvre with some details on his personal life, which he has always kept away from public scrutiny, we get a glimpse to the kinds of things that have influenced the content of his work and motivated his desire to make movies. Ultimately, it tends to feel like a bit self-congratulatory but, when his work is put together in a single documentary, one can’t help but be in awe of his skill and the timeliness of his career choices. A Hollywood classic found in many best-ever lists that had been a blind spot for me for much too long. The Night of the Hunter is Charles Laughton’s one and only project as a feature film director and is, by every account, a terribly influential piece that gave us one of cinema’s most indelible villains, The Preacher, portrayed with theatrical panache by Robert Mitchum. Like the performance itself, the piece is flamboyant in its biblical allegories, with towns that bear no trace of reality, and adult characters that exist not as people, but as instruments to tell a story about good and evil. Though it doesn’t have the kind of attention to detail and rigorous construction of other Hollywood films of the time, The Night of the Hunter excels where others don’t, carving itself a place in the history of film by being bold and unique. A slow-burning horror drama about the psychological ramifications of murder. The film, which was backed by Netflix and probably saved from a quick death as a feature in theaters, stars a very good Thomas Jane playing a scruffy Southern farmer willing to commit the greatest of sins in order to save his lifestyle and his manly pride. 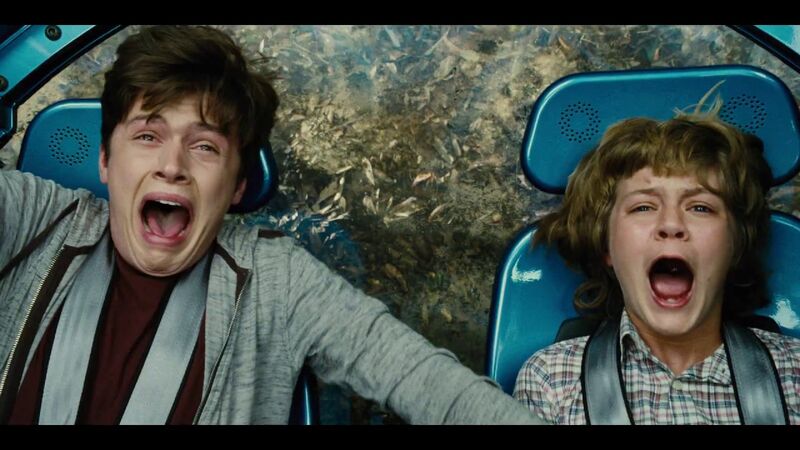 The film is largely effective in its mental and emotional explorations, but it fails at delivering a story with enough of a heartbeat to keep us engaged for much of its long two hours of running time. Few movies in the history of cinema owe their fame to so little. Hellraiser is a terribly executed piece of film that is filled with sequencing problems, poor acting, non-sensical characters, awful cinematography and clumsy editing. My interest in Hellraiser was lost within the first five minutes as the film wastes no time in jumping from one plot point to another to tell its nightmarish and gruesome tale. The only noteworthy aspect lies in the design of the so-called Cenophites, evil creatures from another dimension that trap their summoner in an endless cycle of extreme pleasure and pain. A “horror classic” that owes much of its fame to the non-sensical insanity it puts us through. All similarities to Bridesmaids aside, Girls Trip is a highly overrated comedy filled with half-baked characters, a messy script and at least a half dozen jokes that don’t quite land. What truly surprises me is that this film, which as derivative and commonplace as you’ll likely to find, received so much praise. Thankfully, there is an occasional funny scene and lost in the middle of it all there is something to be said about the empowering feminism that it tries to embrace. How quickly do months fly by when you are busy. It seems like only a week ago I posted my last review. As quickly as my newfound motivation to blog a bit more came to me on January 1st, as quickly it evaporated not from a lack of desire, but from a lack of energy. There comes a time in everyone’s life where the sun, the beach, and enjoying the outdoors takes precedent whenever one feels they have an hour or two to spare. Such has been the case for me over the last few months, even if Chicago, and its often unmerciful weather, has attempted to hijack a weekend or two with its northerly wintry winds and stray summer showers. For these reasons, and maybe a couple of others I will not get into right now, I have abandoned my blog yet again. 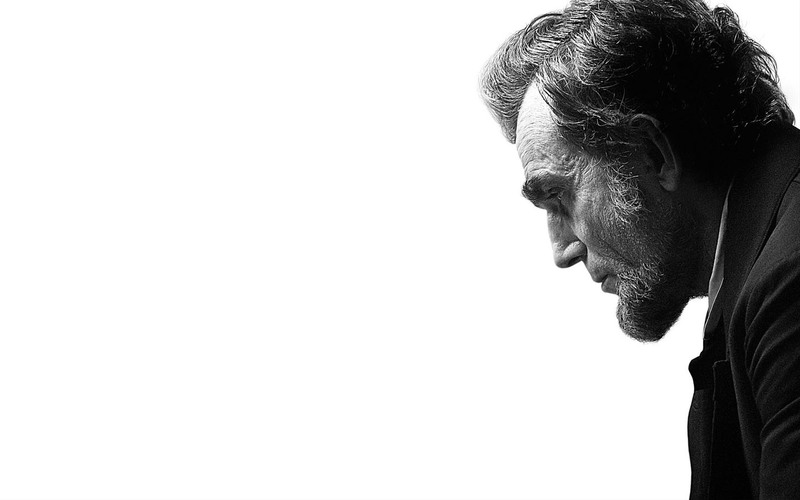 From the convincing performances of the cast to the careful detailing of the time period it encapsulates, Steven Spielberg‘s Lincoln feels more like a documentary (and a damn good one at that) than a feature-length dramatic film.